The brighter the colours, the better - don't be afraid to experiment with pops of neon. 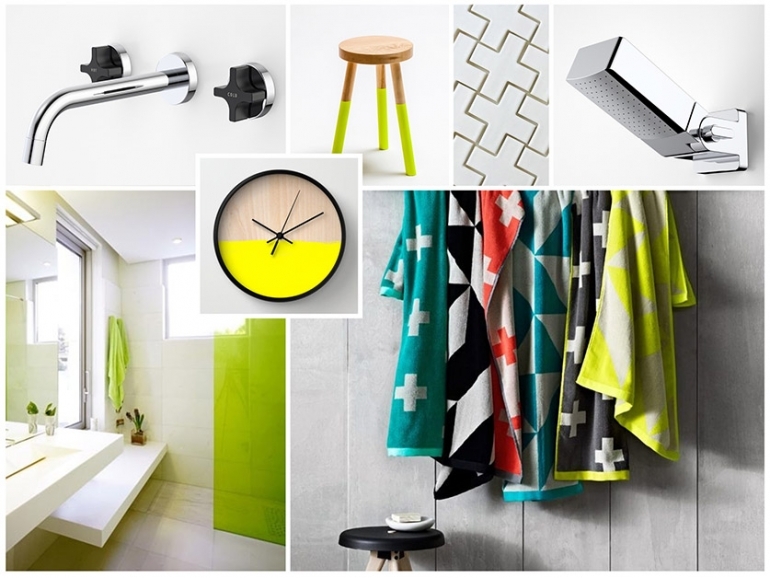 Neon elements are on trend and create a fun statement in a bathroom that could never be called boring. Featuring Myriad Cross Wall Basin Set - Circle Flange Black Handles and Myriad Fixed Wall Shower.